Originally published in Analog – December 2014. By day, Evan Dicken studies old Japanese maps and analyzes medical research data at the Ohio State University. By night, he does neither of these things. 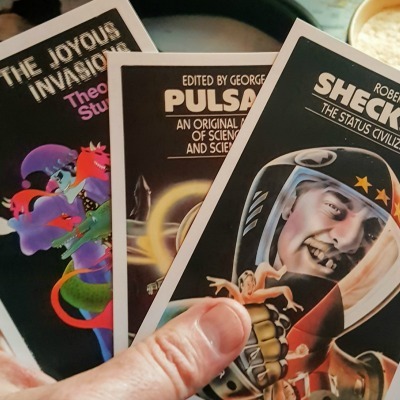 His work has most recently appeared in: Escape Pod, Pseudopod, and The Overcast, and he has stories forthcoming from publishers such as: Chaosium, Unlikely Story, and Cast of Wonders. Feel free to visit him at: evandicken.com. Andrea Subissati is a sociologist, journalist and podcaster. In 2010, her masters thesis on the social impact of zombie cinema was published under the title When There’s No More Room In Hell: The Sociology of the Living Dead. She joined the staff of Rue Morgue magazine in 2014, to which she is a frequent contributor. Her writing has also been published in The Undead and Theology (2012) and The Canadian Horror Film: Terror of the Soul (2015). In addition to writing, Andrea is the co-host and producer of The Faculty of Horror podcast with writer Alexandra West. She has made guest appearances on the Rue Morgue Podcast and Pseudopod, and is co-curator of The Black Museum, a Toronto-based monthly horror lecture series she founded with Canuxploitation creator Paul Corupe. Lady Hellbat lives and works out of Toronto, Ontario. Follow her on Twitter, Facebook and Instagram.